On this crisp fall day, it wasn’t too chilly but wasn’t hot either. 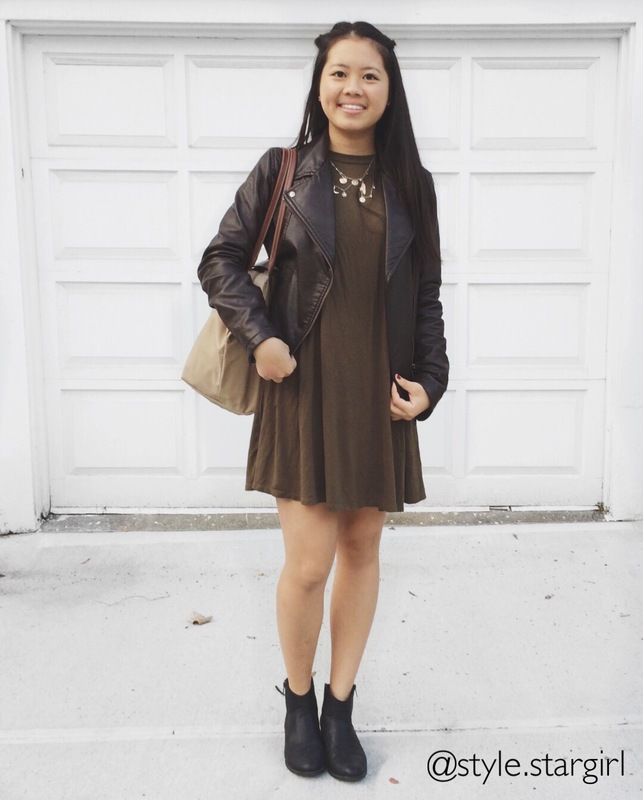 I thought it was the perfect time to bring out my new olive shift dress from sheinside.com! Since the main focus which is the dress, I included many neutral colors to balance it out. The black in my ankles boots, the brown in my leather jacket, gold in my necklace, and tan in my bag really bring the look together.